Our bulletin board. Filled with letters and drawings from students. 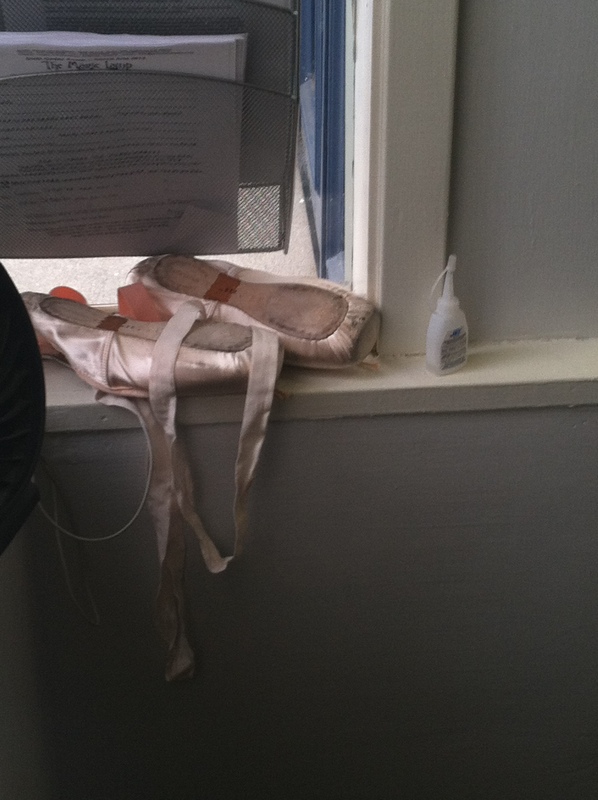 Waiting for the glue to dry on my shoes. Rather tedious. This blurry photo is generally indicative of how I feel at the moment. Today was rather eventful. (In a good way, of course) Aside from sitting down for a delicious breakfast this morning, I’ve spent my full day in dance studios. Don’t get me wrong, this is absolutely no cause for complaint. Recently, I came across a post on Facebook announcing that Smuin Ballet would be having an open rehearsal to kickoff Bay Area Dance Week. Seeing as half of the DAP family dances with Smuin, there was no way that we would miss it, and took advantage of the opportunity to surprise them. It was fantastic to see the dancers up close, and to get a behind-the-scenes preview of their spring program, featuring Michael Smuin’s “Dances with Gershwin” and a world premiere from Val Caniparoli. 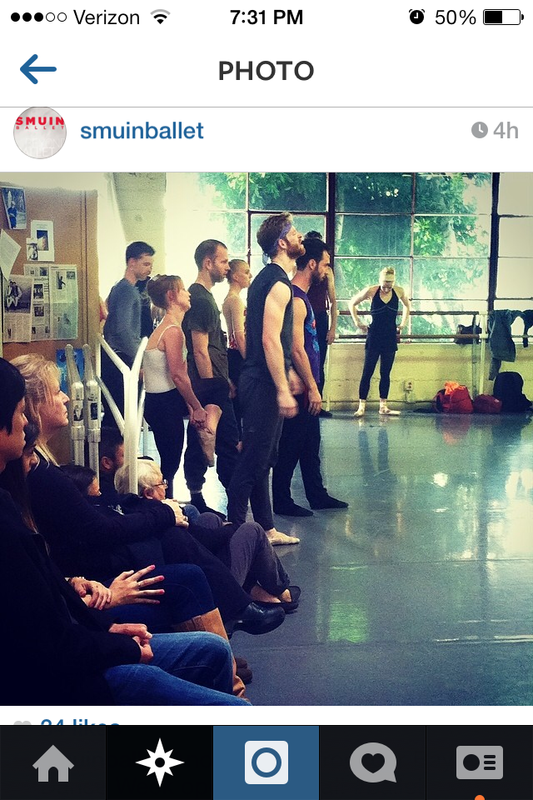 Little did we know, we also made an appearance on Smuin Ballet’s instagram account, complete with a candid shot of the lovely Miss Erin yanking on her shoe. Funny enough, a former student of mine recognized us in the shot, and sent us a screen capture: “I see you!” We clearly look thrilled, but I assure you, it’s a look of concentration. 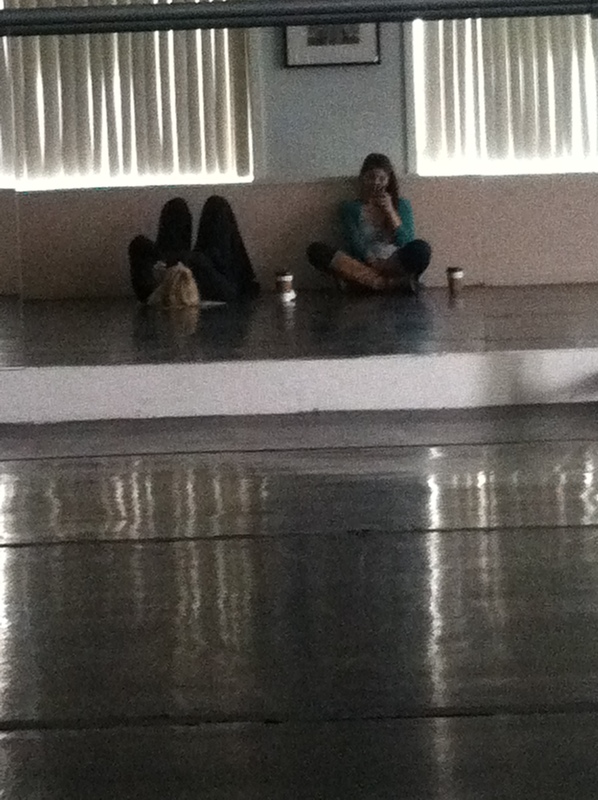 Following a rain-soaked dash back to the Dance Arts studio, the director, Micheala, and I decided to rally with some cups of coffee and…sitting. Despite the dreary weather, I made good progress with choreography though not without a headache. I’m finding it increasingly difficult to keep dances straight, as they so often want to blend themselves together in my memory. 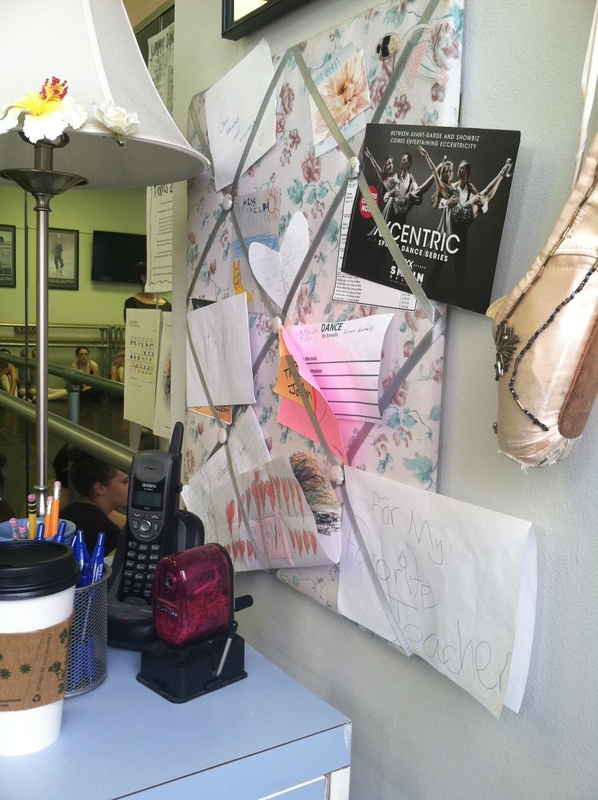 I’m luckily that ballet attracts such bright girls- I rely on them more than ever as we get closer to our show. Plan B is that they run in a circle until I can get the movement sorted in my head. (Only kidding.) In all seriousness, you don’t know pressure until you’ve stood in room with 25 pre-teens staring at you, waiting for your next move.